Hand built Reynolds 631 DB tubing size 57cm. I ride with a group of old guys here in So Cal. 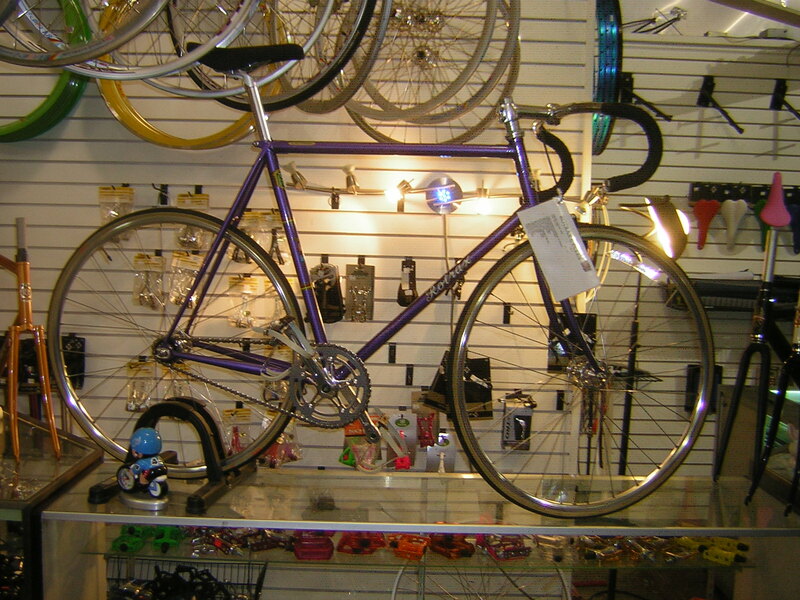 Some of them have retro’ Italian framed bikes. I used to race beautiful black with chrome ends, white paint on the headset, 531 double butted tubes, 23″ (53cm?) Rotrax. I was Club Jnr. BAR in ’53 with Solihull Cycling Club. (ooo). I would love to build a bike like this. Can anyone help me find a frame & fork?